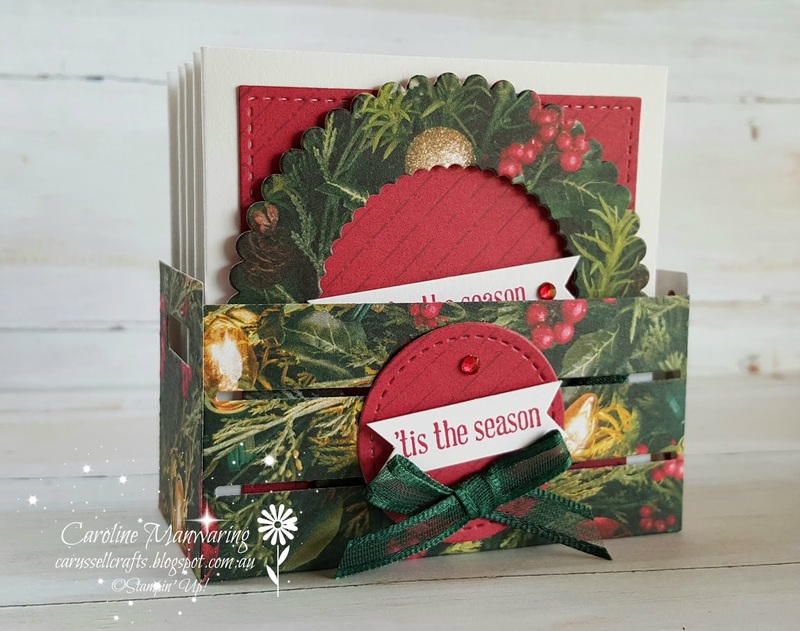 Hi stamping friends and welcome to Week 5 of the Heart of Christmas with the Art with Heart team. 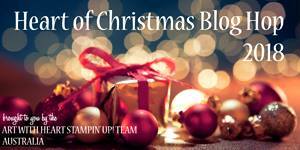 If you're a regular visitor to my blog, you will know that I love making 3" x 3" note cards, and tonight that's exactly what I'm sharing with you. Actually they're Christmas gift tags, because you can never have enough tags at this time of year. Do you agree? I made six tags, three each of two different colour-ways, using the gorgeous All is Bright DSP from the Holiday Catalogue, and presented them in a little box made from the Wood Crate Framelits Dies. To make the wreath I used two scalloped circles from the Layering Circles Framelits. I chose the photographic pine sprigs with holly and baubles and the tree with fairy lights from the DSP pack for my wreaths. 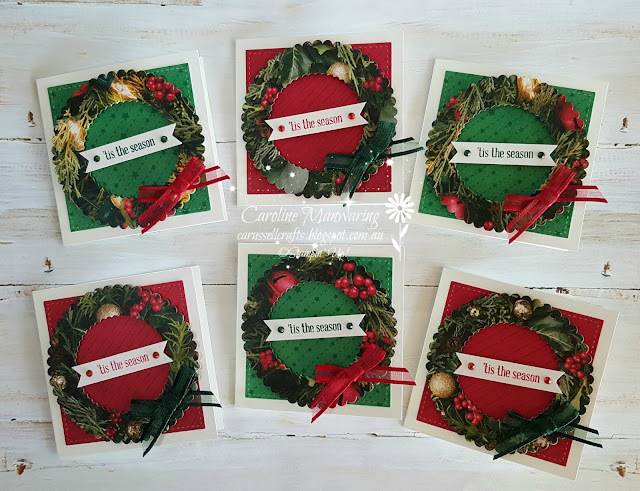 I just chose the images I wanted to see in the wreaths by basically "fussy cutting" with the Big Shot and dies. I wanted a little bit of red and gold in each one. They look quite effective I think. 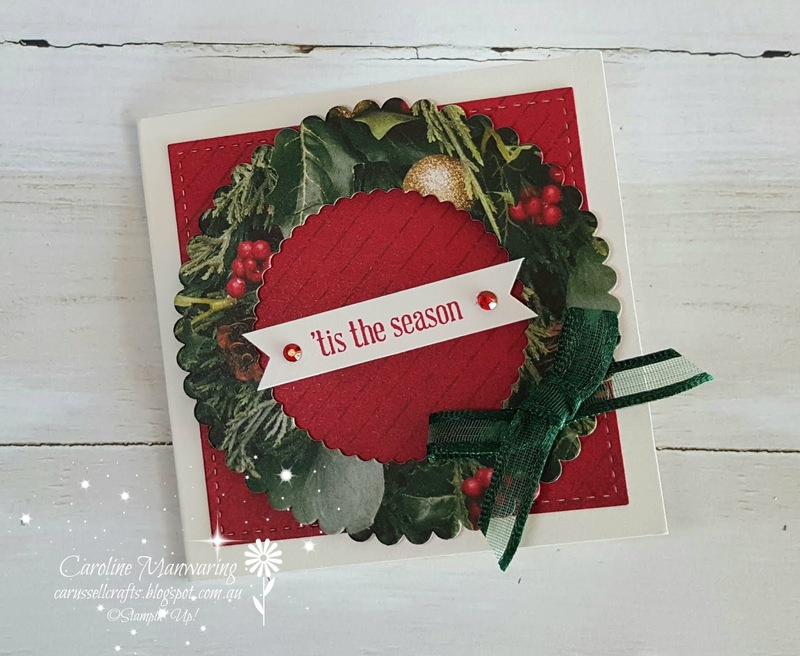 The stitched square pattern behind the wreath is also from the DSP pack. 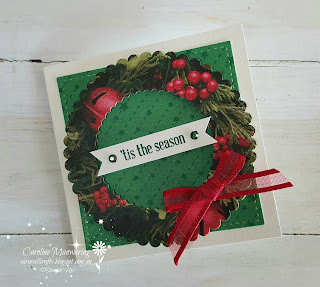 The sentiment is from Itty Bitty Greetings stamp set and I've used Real Red and Shaded Spruce for the inks. 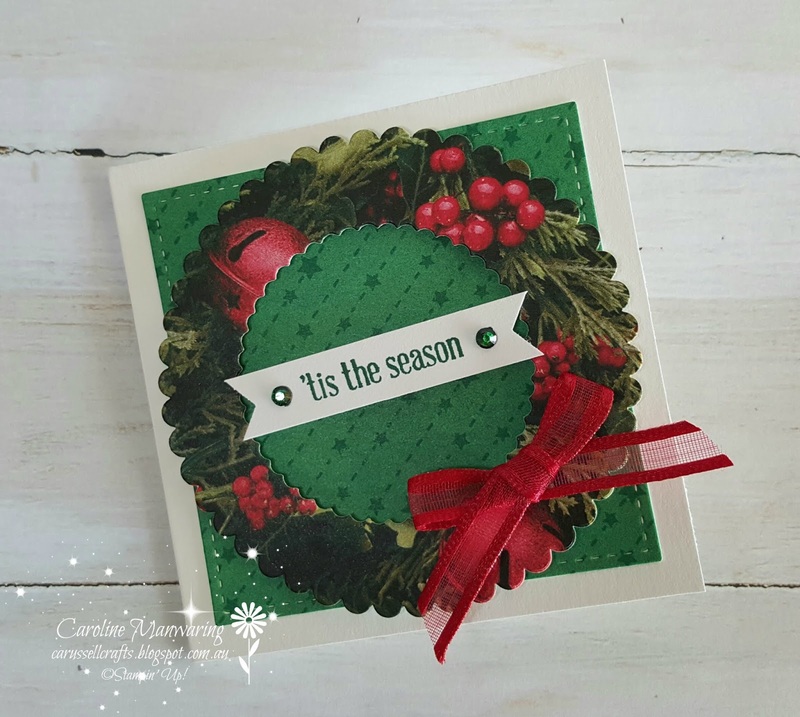 I hand coloured the rhinestones and the ribbon, which is a retired one, with our Stampin' Blends in the same colours I used for stamping the sentiment. Here's a close up photo of the wood crate box. I stuck a piece of thick whisper white cardstock inside the base to make the box sturdier. I used the Classic Label punch for each of the sentiments and reinserted back into the side of the punch to flag the ends. 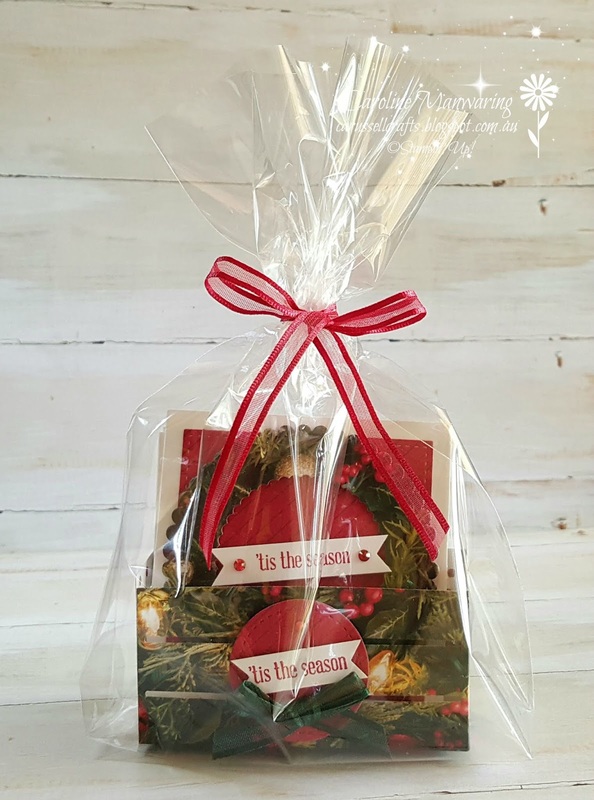 I think these little tags in a box would make a great item to sell at a market stall and they look really sweet presented in a cello bag tied with matching ribbon. For the last few months at our class, I have been giving out a lucky door prize to my lovely attendees. I'm going to give this set of Christmas tags away at my September class for the prize. Well, that's it from me tonight, thank you for stopping by.